What are the best bongs, water pipes and vaporizers to smoke marijuana? People have been smoking plants recreationally since the beginning of time. From tobacco to opium, humans have sought out plants with interesting properties for as long as we’ve been walking on two legs. Smoking has been such a popular method for so long because it’s so fast and efficient. It’s one of the simplest ways to get active ingredients into the brain. This is because a lot of herbal drugs are heat-activated, and the smoke is quickly absorbed through the lining of the lungs and then right into the bloodstream. The only real problem with smoking is that it requires equipment. Paraphernalia, if you will. 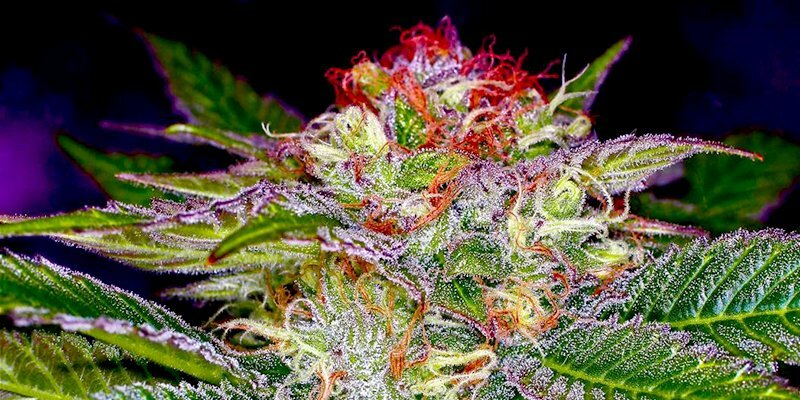 This guide will cover some of the basic equipment you will need to smoke your marijuana. You can get the best smoking equipment at this link. Over 10.000 pipes, bongs and vaporizers in all shapes and sizes. Let’s take a quick moment to go back in time. Imagine, if you will, a group of prehistoric hunters. They’ve just finished the last day of their hunt, and they’re waiting in front of their cave with a huge pile of all the deer they’ve speared over the last several weeks. They also have an ounce of really great bud. Unfortunately, many thousands of years ago, there were no pipes or papers. So how would they smoke it? Well, why not put some of that deer to work? Assuming for a moment there aren’t any sticks or handy pieces of wood for carving around, our lucky hunters can use bone. They just have to cut about half a foot off of the end of a leg bone, and then use a spearhead to drill a little bowl in the indented area behind the joint. Then they just need to harden the marrow by boiling the bone and pushing it out of one end. After that, the hunters have a handy bone pipe for that tantalizing ounce of bud. A little macabre, sure, but it’ll get the job done. Anyway, who are we to judge prehistoric hunters for their choice in pipes? It was a different time. It’ll keep those hunters tuned in until they get back home with all that hard-won meat. The good news is, times have changed. It’s no longer necessary to carve a pipe out of animal bone. Nowadays, we have pipes and papers and glass and all sorts of other materials that can be used to conveniently create a smoking apparatus. Let’s start with paper. You can find cigarette papers in most gas stations or head shops. Obviously the head shops will have more options, but a gas station will make your choice simpler. We’ll talk more about using papers below. If you’ve ever smoked, it’s likely you’ve run into one of those people who smoke pot but claim that they just can’t roll cannabis into a joint. Maybe you’re even one of those people. And that’s fine, but wouldn’t you like to roll a clean, squared-off joint that no one could even distinguish from a factory cigarette. First, the foundation of a good joint is the texture of the cannabis being used. You want to make sure you have a proper ‘grain’ that will roll easily and burn well. Make sure it’s been ground up well, but your cannabis shouldn’t be powdery. If it’s too fine, it will be difficult to keep inside the paper as you’re rolling. It will also have a tendency to ‘run’, smoldering unevenly on one side as you try to smoke it. If your cannabis isn’t fine enough, you also might have issues with the joint smoldering. It won’t look very nice, either. No one wants to smoke an ugly, bumpy joint if they have any choice in the matter. Ideally, your cannabis should be somewhat coarse, roughly the consistency of fine mulch. You want it a little bit moist and spongy, but not wet. This will help you roll it more easily and also offer you a smoother smoke. There are a mind-boggling number of different types of rolling papers. You can get rolling papers in every color of the rainbow. Big rolling papers, small rolling papers. Rolling papers that taste like watermelon or maple syrup. When it comes to papers, the world is your oyster. In general, all of them will serve equally well if you’re looking to get stoned. That being said, it’s usually easier for beginners to start out with larger papers. Make sure to use a paper that’s gummed on one side, so that you can keep it together well without any special tricks. Check this link for all rolling papers and blunts. Ok, now for the part we’ve all been waiting for. How do you actually roll the joint once you’ve got everything you need? Start by gently pinching the paper on the ungummed edges. Hold it between the thumb and index finger of either hand. Then fold the paper, forming it into a trough to hold your cannabis. Use one hand to keep the paper in shape while the other hand evenly sprinkles cannabis into the trough. Still holding the paper in a trough shape between the thumb and middle fingers of both hands. While doing this, gently squeeze the cannabis together through the paper, pushing in slightly more on the ends than the center. Then use your thumbs to slowly roll the cannabis into an even cylinder. When you’ve made the ends even and cylindrical, roll the top of the tube of paper down until you can tuck it under the other side. Imagine you’re going to be making a spiral out of the paper. Then just roll it up, trying to do the whole thing evenly, and lick the gummed end. The toke stone is a fantastic invention. Much like the bone pipe mentioned above, the toke stone is very simple. It’s basically an extension for a joint, making it pull more like a pipe. A toke stone is a piece of soft stone like lime or soapstone: it’s a tube with a hole drilled from one end to the either. You just pop in the unlit end of your joint and pull through the other end. It’s extremely simple to make a toke stone. Just find a wide disc-shaped stone, like the sort of smooth stones you find on a rocky beach. Drill a hole through it, and you can use it to hold your joint. Still, drilling a hole through solid stone can be tough, so make sure you’re using a soft stone. You’ll also benefit from some sort of vise to hold the stone in place while you drill. A drill press will help, but you can easily do it with a hand drill. People drilled stone a long time before we had heavy equipment. Regardless of what tool you choose, you should take proper safety precautions. Make sure you’re wearing safety glass, and remember that a lot of soft stones (soapstone in particular) can kick up a lot of tiny particles when you’re drilling it. Wear a breath mask or a respirator to help protect your respiratory system. If you’re looking for something to hold your joint, but drilling through solid stone doesn’t sound like it’s something you’d be interested in, consider the arrow toke. The arrow toke consists of a 6-inch section of aluminum tubing, the sort found in broken arrows. You can easily find broken arrows at almost any archery range, and most establishments will give them to you for free if you ask them nicely. From there, you’re good to go. Just clean up the broken end of the arrow and make sure there aren’t any loose bits floating around. You don’t want these to get in your joint. Arrow tokes are light, low-profile, and almost totally unrecognizable as cannabis paraphernalia. Pipes are the go-to for most regular smokers, whether medicinal or recreational. The concept of the pipe is exactly as mentioned in the first story, with the prehistoric hunters. A smoker just pulls air through a burning bowl, accelerating the burn and pulling smoke. More advanced pipes and water pipes will add a “choke” hole in addition to the bowl itself. This extra ‘choke’ is kept plugged by the tip of a finger or thumb while it’s being pulled. This gives a much greater control over the airflow being pulled through the pipe, which can help the smoker vary the strength and quantity of their smoke. Cannabis smokers seem to have somewhat of a history of creativity. 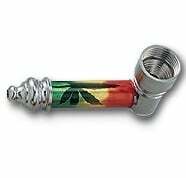 If you walk into a head shop nowadays, you’ll find that the pipe has evolved and specialized into a wide variety of tools that bear almost no resemblance to the more traditional pipes smoked long ago. Glass is extremely popular. Glass pipes can range wildly in price, and a lot of them are genuine works of art. Go with something simple, or find something more personal that fits your style. Some artists even use electrolytic etching or plating of copper to create fascinating hybrids of glass and metal. Get your pipes at Grassity, over 10.000 different pipes in stock! The water pipe (known more commonly as a bong) is another tool routinely used by regular smokers. It’s somewhat more complicated, making use of an additional chamber full of water to help filter and cool the smoke. Hookahs are also a kind of water pipe. Every form of the water pipe functions under the same set of principles. A water pipe acts as a sealed unit once a smoker begins pulling on it. This means that it will pull air through the bowl, just as a traditional pipe would. The next step: the smoke will be drawn through a stem into a small water tank, where it is cooled. Soot and ash will also be caught in the water, and as you continue to draw, the smoke will be pulled up through the water. Filtering smoke through water will make it smoother and much easier on the lungs. You can make your own water pipe fairly easily. 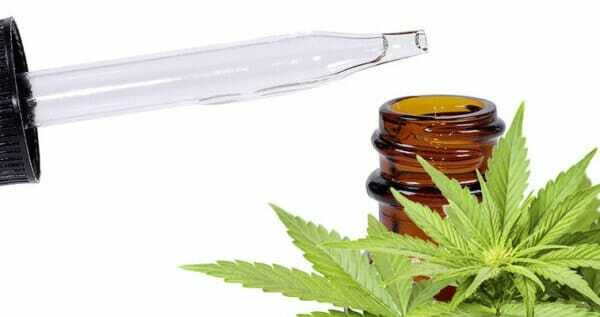 You can use pretty much any plastic jar as your vessel, as long as it can be sealed. All you really need is a sharp edge. Just drill a hole through the lid (this lets you change the water and continually re-seal the pipe). There are a number of things you can use for the bowl itself if you don’t have a pipe or removable bowl handy. Whatever you choose, you’ll want to make sure that you’re using metal, glass, or stone. If the cannabis is being pulled right through the bowl, you can use a bit of mesh as a screen to keep it in one place. If you want to get fancy with your water pipe, you can add hoses to it. This will let multiple people pull out of the same water pipe without having to pass it around, making it something like a hookah. Just drill a hole for each hose you want to install in your pipe. For the hose, you can use lengths of latex surgical tubing (a long time ago, you would find this on a slingshot). This soft sort of hose will seal itself up once your squish it in. If the length of hose you’re using is too stiff, you can use some sort of epoxy to help seal the hole. As long as you make sure that the whole water pipe is sealed (with the exception of the openings at the hoses, you should be just about ready to take your new water pipe for a spin. Just keep an eye on all of the different parts, especially if any of the plastic is touching something hot. Also, try to make sure that any epoxy you’re using has been given time to harden and set. Feel free to change out the water if it starts to taste dirty or weird, remember that it’s acting as a filter. Get your bongs at Grasscity, over 10.000 different bongs in stock! If you’re not interested in visiting your local artisan headshop, you can always choose to make a PVC water pipe. This was more commonly used back in the ‘70s, popularized by a variety of routine smokers. Naturally there are a lot of different sizes of PVC pipe, so feel free to mix and match whatever size you please for your water pipe. The general concept is what’s important. Using a short length of PVC pipe (no longer than your forearm), you follow the same idea as the water pipe described above. Seal one end of the PVC with a flat glue-on cap that allows the tube to stand up on its end. Then you want to drill a hole into the bottom half (the end that’s capped). This is where the stem goes in, acting much like the toke stone or arrow toke described above. You’ll want to use a metal or glass tube. Copper works well for this. This is what you’ll be drawing air through. Like you did with the hoses for the water pipe described above, use epoxy to seal this tube in, so that there is a vacuum in your PVC water pipe. After that, you’re good to go. Many regular smokers choose to add a ‘choke’ hole in the PVC. Fill it with water and you’re all ready to use your new PVC water pipe. For added flavor, you can consider using another liquid besides water. Some smokers favor orange juice, wine, or bourbon. Whatever the liquid, it’ll be better if it’s cold. If there’s no water handy, remember that it will function dry. The water makes it more enjoyable, but it’s not a necessity. Smokers will frequently put a join in the metal tube, or alternatively use a screen to hold the cannabis in the stem. Another simpler and more straightforward sort of waterpipe can be made out of a can. If you’re ever out in the middle of the woods (camping, hiking, hunting, etc. ), it might come in handy. Sometimes you’ll be out with a group of people and someone will have weed but no papers or pipes or carvable materials. In emergency situations like this, you can use a beer or soda can to make a water pipe. Just indent the bottom end of the can with a screwdriver or a stone. Try to make a cone-shaped bump, and then poke a tiny hole in the center when you’re all done. Don’t make the hole too big: this is going to be your bowl, and you don’t want to lose all of your cannabis. You’ll also probably want a ‘choke’ hole in the side of the can. Get your smoking supplies at Grasscity, the world’s largest online headshop! Finally, you can fill your conical bowl of with some ground-up bud, then seal the drinking hole with your lips. Then just let it burn. Vaping is the modern method of smoking. Instead of setting the plants on fire, vaporizers use precise heat to vaporize the active ingredients and plant matter. Vaporizers can use direct or indirect heat although most of them are powered by electricity— either by battery or socket. A large subsection of the smoking population swears by ‘vaping.’ It’s an extremely efficient technique for smoking cannabis, much easier on the lungs than smoking joints or pipes. Newer vaporizers make use of better science and engineering to optimize the experience. This is a great choice for medicinal users, or anyone who has a respiratory illness or weakness, second only to baking the cannabis into food. The efficiency of the vaporizer also makes it remarkably economical, the initial investment notwithstanding. With some of the carefully engineered modern strains, a lot of smokers opt for a device that doesn’t offer massive, old-fashioned hits. They also don’t spread around all of the pungent smoke that joints or pipes do. For regular smokers, a vaporizer makes a lot of sense— efficient, economical and offering long-term health benefits. Like the other types of paraphernalia mentioned in this article, vaporizers come in a wide array of shapes and sizes. They have an equally wide range of prices and different methods of function. Expect to pay anything from $60 to $500, depending on what it is you’re looking for in your vaporizer. There are two primary methods used to vaporize the plant matter: either convection or conduction. With conduction, a small plate is heated up, usually by a wire that runs through the plate. When the fully heated element makes contact with the plant matter, the active ingredients in the cannabis are vaporized. There are a number of conduction vaporizers that are heated up with a lighter, acting much the same as a pipe but without direct contact with the flame. Conduction vaporizers are not quite as efficient as convection vaporizers, but they are almost always less expensive, and usually more portable than their convection counterparts. Convection models are usually the highest-quality. Instead of the cannabis being incinerated by direct contact with the extremely hot element, a convection air system pulls a stream of hot air through the cannabis, vaporizing the active ingredients with finer control. The convection system turns the plant matter into carbon without actually incinerating it. Hash uniquest? Everyone wants to talk about bud...I'm old and gotta slow down.